The Chang'e-4 probe touched down and sent a photo of the so-called "dark side" of the moon to the Queqiao satellite, which will relay communications to controllers on Earth, state broadcaster CCTV said. The Chang'e-4 lunar probe mission -- named after the moon goddess in Chinese mythology -- launched in December from the southwestern Xichang launch centre. 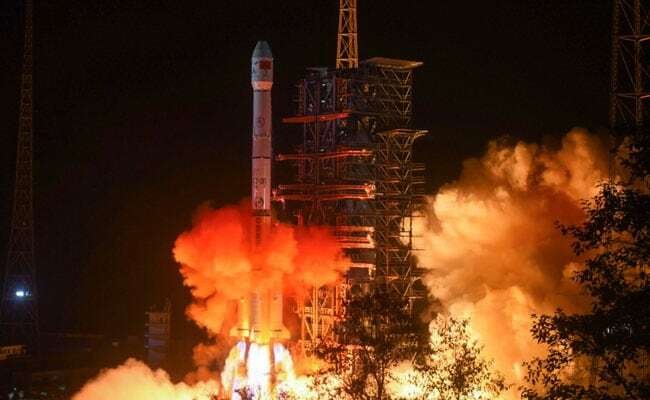 Chang'e-4 is carrying six experiments from China and four from abroad, including low-frequency radio astronomical studies -- aiming to take advantage of the lack of interference on the far side. No lander or rover has ever previously touched the surface there, and it is no easy technological feat -- China has been preparing for this moment for years. In another extreme hurdle, during the lunar night -- which lasts 14 Earth days -- temperatures drop to as low as minus 173 degrees Celsius (minus 279 Fahrenheit). Adding to the difficulties, Chang'e-4 was sent to the Aitken Basin in the lunar south pole region -- known for its craggy and complex terrain -- state media has said. Yutu also conquered those challenges and, after initial setbacks, ultimately surveyed the moon's surface for 31 months. Its success provided a major boost to China's space programme. Beijing is planning to send another lunar lander, Chang'e-5, later this year to collect samples and bring them back to Earth.